Update: This deal is now expired. Click here to get KingSumo Giveaways and grow your email list with viral giveaways. Tim Ferriss did $4 million dollars worth of giveaways when launching his best-selling book. Warren Buffet tried to give away a billion dollars during the NCAA finals. McDonald’s runs them all the time with their Monopoly games. But most regular people with websites and businesses have no idea how cost-effective giveaways are in getting new customers. We had no clue ourselves. 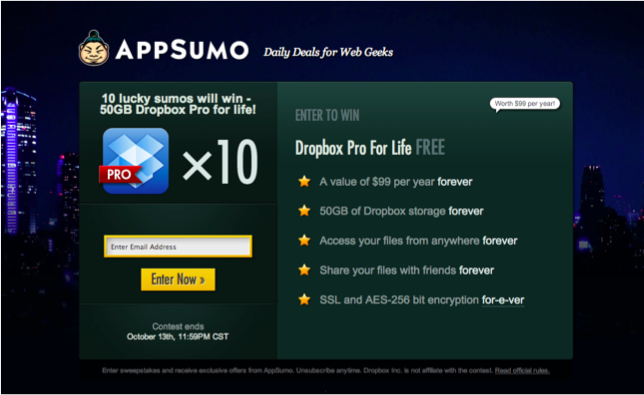 One day we lazily launched a Dropbox for life giveaway. No expectations. A week later, that one giveaway generated over 200,000 email signups. Regularly, it costs us around $5 to get an email subscriber through online ads. The giveaway cost us $60,000. Instead of paying $5 per email subscriber, we got 200,000 email subscribers for only $0.30 each with this giveaway. Not all of your customers will come through advertising or content marketing. Giveaways are one of the most cost-effective methods to reach a huge section of brand new customers. If you’re like me, you want to see proof and results. 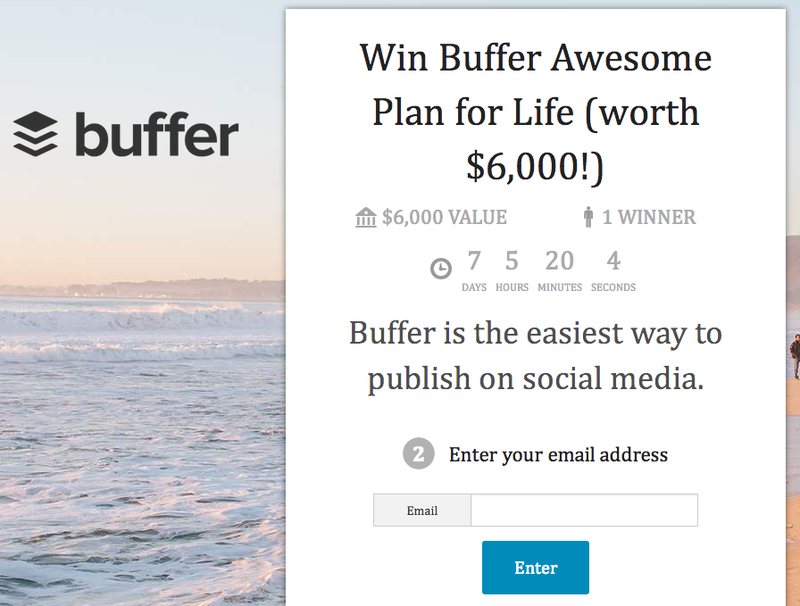 Just yesterday I set up a giveaway of Buffer for Life. You can see it and enter here. Now click here to see the results of people spreading it right now. This giveaway generated 100+ emails in the first 15 minutes. Over the years, we optimized every part of our in-house giveaway software including where to place the timer, how it should look, and much more. Today, we’re giving you access to our software with KingSumo Giveaways. With it, you can start making your own giveaways in minutes. Share the giveaway through Facebook, Twitter, email, groups, etc. You can use Giveaways if you only have a couple email subscribers or if you already have a huge list. As long as you pick something interesting, your audience will share it and drive you new customers. Here’s the best part … there are no annoying subscriptions with Giveaways. Buy it once and it’s yours forever, including any future updates. Giveaways will normally sell for $198, which is already an insane deal considering how many new customers this will drive you. For the next 3 days, you can get lifetime access to Giveaways for only $99. Grab Giveaways today and start running giveaways on your own site. P.S. Are you a WordPress developer? 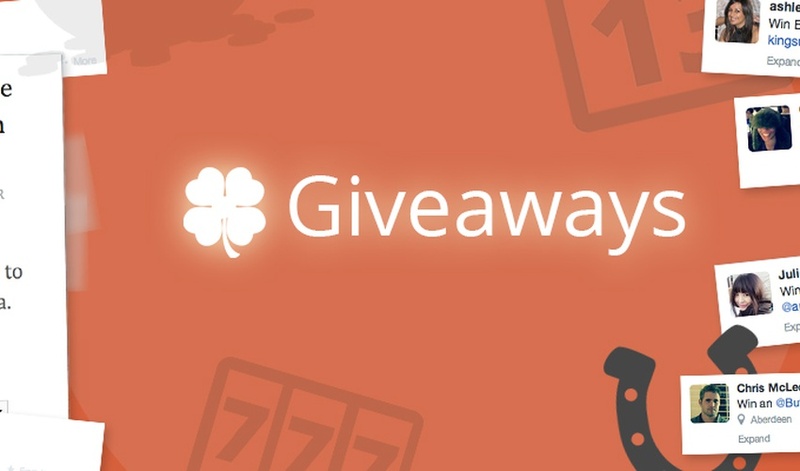 Click here to get the Developer License of Giveaways to use it on unlimited sites.